Reach Melghat. Check into resort. Post lunch evening park safari. Reach Satpuda. Check into resort. Bed Tea & morning park safari. Post lunch check into Departure for Nagpur. Reach Nagpur & Tour Ends. Habitat: Melghat Tiger Reserve is located in Central India. This establishes forest which is part of the world’s 5th biologically richest. The reserve forms an important corridor between forest areas of Madhya Pradesh and Maharashtra ensuring contiguity of the forests in the Satpudas. 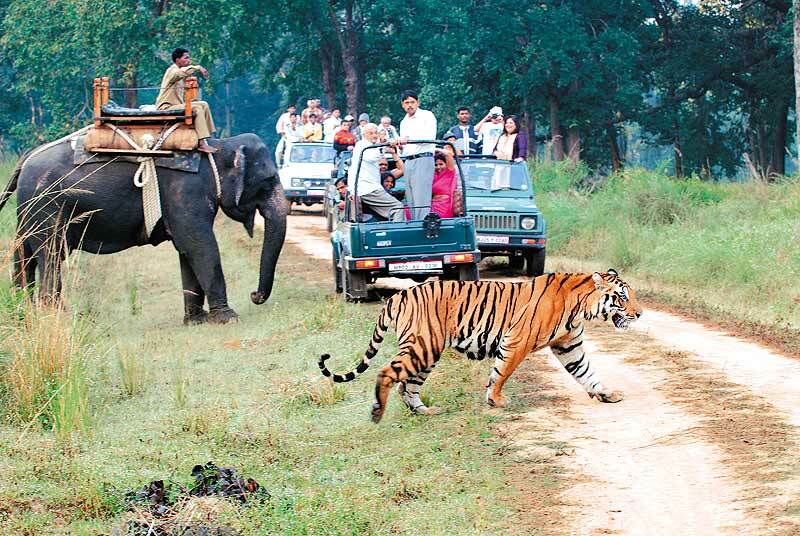 It harbours a worthwhile population of Tigers and of the endangered Gaur. It also harbours a number of other faunal species some of which figure in the IUCN Red Data list, these are Wild dog, Jackal, Sloth bear, Leopard, Caracal, and Ratel. Forests Types:The forests of MELGHAT TIGER PROJECT are of deciduous nature and have been categorized as “Dry Deciduous Forests”. There are 3 types of soil found in Melghat. Bouldery soil cover’s a large part of the reserve & mostly confined to slopes. Is on hill tops and flat terrain & is around Chikhaldara, Vairat and other parts of the reserve. Clay soil happens in depression and on level areas. These soils are very fertile & have meager drainage position. Climate of Melghat Tiger Reserve is unpredictable due to deviation in elevation, feature and diverse seasons, eg Rainy, Winter, Summer Seasons. The zone experiences a good rainfall during monsoon which varies from 955 to 1450 millimeters with regular number of rainy days about 65 to 60. Temperature differs significantly with height. 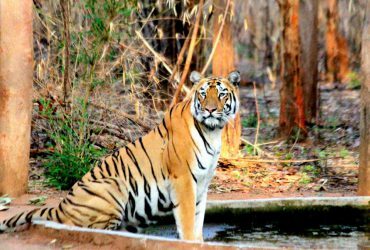 The entire area of the Melghat Tiger Reserve is under the cover of forest. Natural grassy openings are almost absent. Tectona grandis (teak) is the most governing kind. A volume has been issued on the FAUNAL DIVERSITY OF TIGER RESERVES IN INDIA by Zoological Survey of India Kolkata, and Project Tiger Directorate New Delhi in the year 2006. 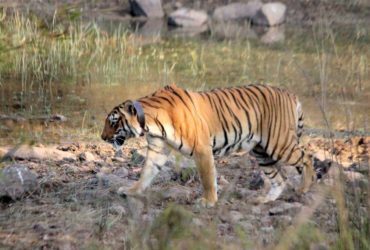 The report indicates the preservation of Project Tiger, which has ensued in the Conservation of other life forms while saving the leading species the tiger. Melghat has variety of herbivores. 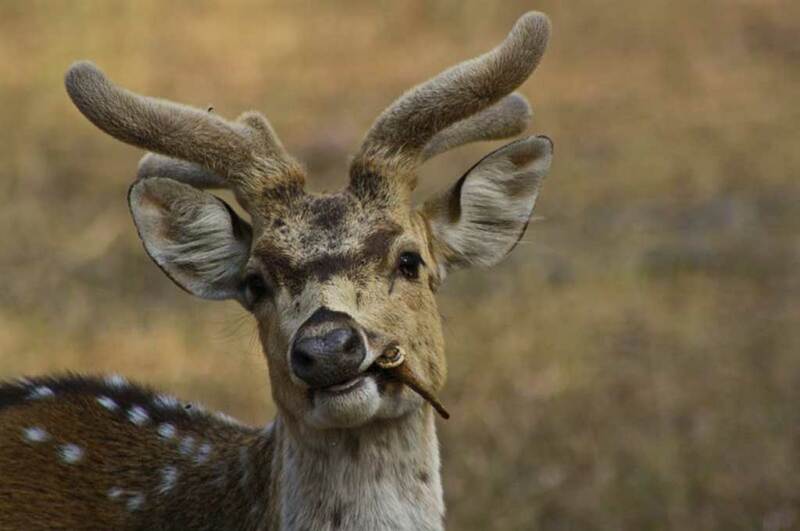 It is the home of Gaur, Sambar, Barking deer, and 4 horned antelope, which are disseminated all over the reserve. Sambhars are found in good amounts. Scores of Cheetals are found around, Dhakna, Dhargad, Bori, Chikhali, Kolkaz. Neelgai is found in Zunjeruaam, Bori, Dolar, Dhakna, Rangubeli, etc. Tigers and panthers are spread all through the Sanctuary. The favorable tiger zones are Kuwapati, Adhao-Dakna, Raksha, Mata Kol, Mandikua, Dolaram, Rabangnala to Keli, Semadoh – Raipur, etc. Panthers are found in reasonable numbers predominantly around Marita, Jarida, Khatkali Rangubeli. Wild dogs come about in fair numbers chiefly around Chunkhadi, Raipur, Koha,Koktoo, Gobiya etc. Hunters like striped Hyena and Jackals are also witnessed in reasonable numbers.